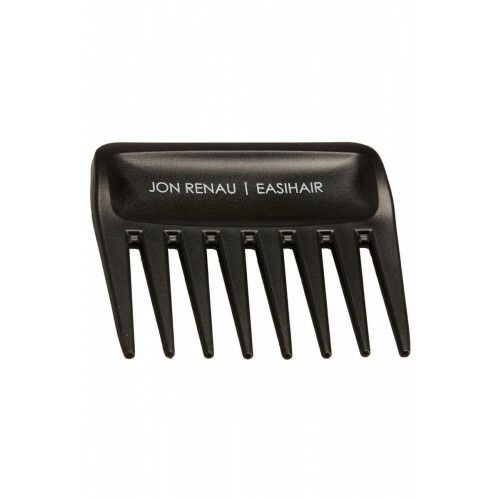 Wide Tooth Comb by Jon Renau is designed to detangle and smooth synthetic fiber. This comb fits comfortably in your hand and is perfect for styling on the go! This comb works well with all hair types and is a must have for wigs, extensions, and hairpieces. This is the only comb that you should use on heat-friendly synthetic to keep the wig from early frizzing. Keep in your purse to detangle your hair throughout the day. We recommend combing from the ends up to avoid damage or breakage.